Wet Â‘nÂ’ Wild offers amazing and economical packages for couples and families. Take a break from your routine and monotonous life and plan a holiday worth remembering. Once you step into our resort, you can leave your kids to play around and enjoy while you can just lie back and relax. Our guards present at the water park will keep a sharp eye on then as they splash and play around in the different water slides. 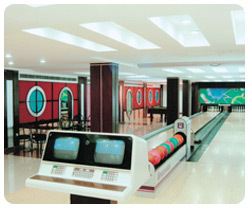 Our resort has been designed keeping in mind the needs of both adults and children. Even adults can freak out and enjoy a wonderful and a fun filled holiday at our resort and can slide down amazing water slides. Just carry your swim-suit and get ready for an unforgettable experience. Pamper your mood and follow your heart. And when your stomach gets gurgling, visit our multi-cuisine restaurant Harbor House and savor lip smacking dishes to your heartÂ’s content. You can get you evenings rolling by chilling out at our exclusively designed bar. And if you feel like shaking your leg, walk down to our discotheque and sway as long as you feel like. 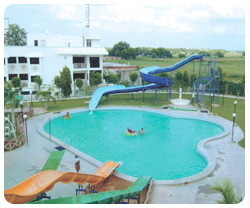 We offer the best of family Bonanza Packages which includes Accommodation, Breakfast, Buffet Lunch, Evening Tea, Buffet Dinner, Cocktail Snacks, Scotch- Alcoholic Beverages, Complimentary use of water park with newly added water rides & Rain Dance. Make your choice from the packages and trust your dream holiday with us.